Imagine placing a Snapcode on the door or window of your store. A customer scans it, and an augmented reality (AR) image pops up on their smartphone. Lens Studio is a new desktop app from Snapchat (NYSE: SNAP) which lets you create Lenses to bring in the real world. Lens Studio is a new way of creating Lenses so the Snapchat community can interact in the real world. The studio has been designed to simplify the creation of objects so they can be transposed using AR. Snapchat has a young user base (mostly teens), but if your small business caters to this demographic, integrating AR is one way to interact with them. It is important to note more than $264 billion is spent annually for products bought by and for teens in the United States. The more ways you use to engage your customers, the better your chances of succeeding. 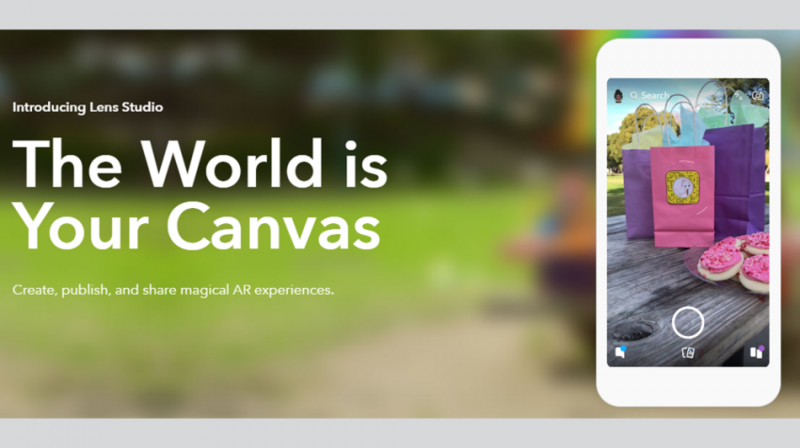 With Lens Studio, Snapchat has opened its AR platform to the world. Creators and developers can use the application to place interactive 3D objects on images and videos with QR Snapcodes. If you want to try Lens Studio, all you have to do is download the Mac or Windows version and start creating. The company says the app has been designed so even beginners in 2D animation or professional artists can start using it with easy to use guides and tools. Once you create your image and QR Code, you can start promoting it as another marketing tool for your business. The one drawback is, it still has the 24 hour limit of Snapchat content. Unlike virtual reality, augmented reality (AR) brings superimposed computer-generated images with live direct or indirect views of physical real-world environments over your view of the real-world. So if you point your smartphone or another device in a particular location, it enhances your perception of reality. The Pokémon craze that swept the world last year is an example of this. But it has infinitely more applications than gaming. As a small business owner, using Lens Studio or another AR platform is one more way you can engage with your customers. And in most instances, these technologies are free. So have a go at it, and give your customers one more reason to walk through your door.